Do you need help from Moorabbin Criminal Lawyers? Doogue + George can help you. We have an office located at level 1/441 South Road, conveniently placed five minutes from the Moorabbin Justice Centre. 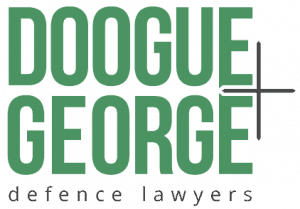 Doogue + George Moorabbin Criminal Lawyers regularly appear at Moorabbin Justice Centre. Click below to take a virtual tour of our Moorabbin office. Drag your mouse to look around and click to move. Moorabbin Magistrates' Court is a small Magistrates Court and generally only has a couple of Magistrates working in the mention Courts. If the matter is considered a very serious charge it may start at the Moorabbin Magistrates' Court and then be remitted to Melbourne to join in the committal stream to go to a higher Court.